We are excited to provide you with professional eye care services in a comfortable and friendly environment. Please contact us to schedule your appointment today! We are pleased to welcome you to our practice. Vision Associates has been serving the greater Metrowest area for over forty years. Our vision of what quality eye care should be revolves around your complete satisfaction. Because we know how much your eye health and appearance can mean to the quality of your life, we have a highly professional staff of experienced optometrists and opticians that deliver quality service each and every time. Our optometrists are dedicated to patient care and provide each patient with the individual attention they deserve. We perform annual eye exams, emergency visits, and can prescribe any needed medication. We'd also be happy to talk to you about your contact lens needs, eye health concerns, or laser surgery. Our friendly opticians are skilled in helping you find the right glasses for you. No two patients are alike and we will treat you as an individual. Our opticians will give you as much or as little guidance as you'd like and we never give our patients the "hard sell." 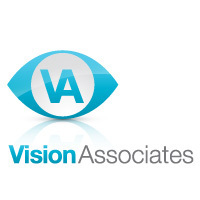 At Vision Associates you get the personalized service that's just not available at chain stores. Our on-site finishing lab allows us to deliver a superior product, frequently the same day. Thank you for your interest in our office. We hope to see you soon.